Oh! Hello everybody, Glad to be back blogging after four days. Life became busy over the week. Although I crafted, I had no time to blog plus the weather is very overcast with periods of rain which means no natural light to take photos either. It felt like I haven’t blogged forever!!! Finally I managed to take some decent photos my cards today. Thought I will share them with you. 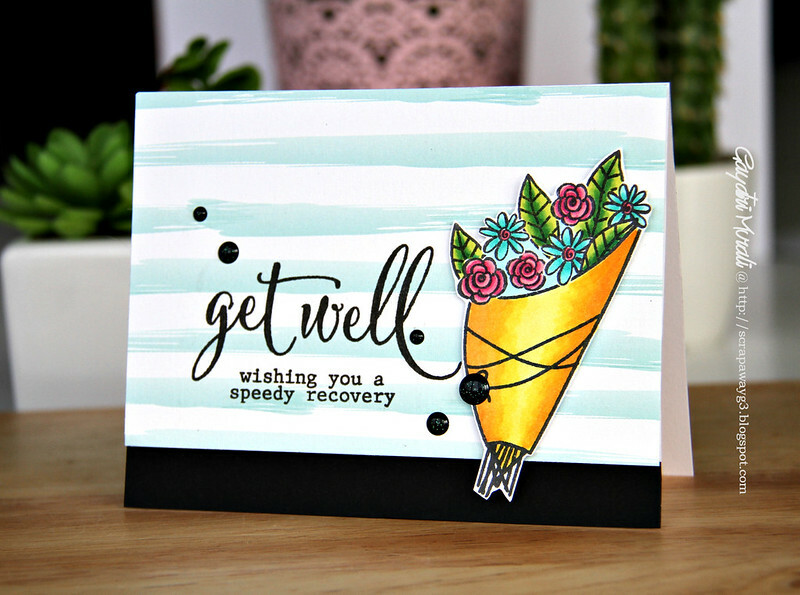 I wanted couple of get well cards to give couple of my friends who are having health issues. So I went ahead and made a a set of five cards. Sharing only three today with you. 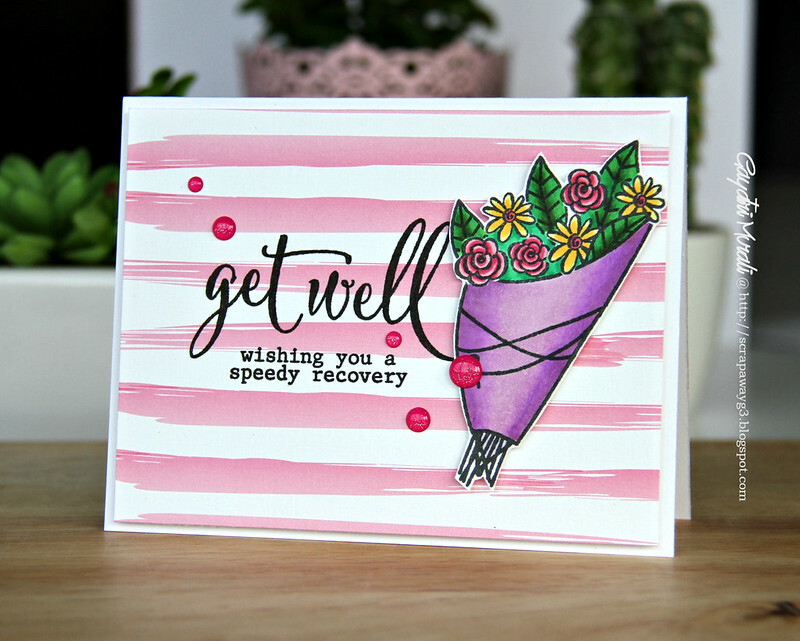 I have used Avery Elle’s Get Well stamp set to make my cards. To start with I simply stamped five bouquets on white cardstocks and coloured them with copic markers. I then hand cut them all out. So now I have five different coloured bouquets to make cards with. The use of different pattern papers and layout on the cards makes a set off five cards. The sentiment is also from the same stamp set. Love how big and bold the main sentiment is with the smaller sentiment below. 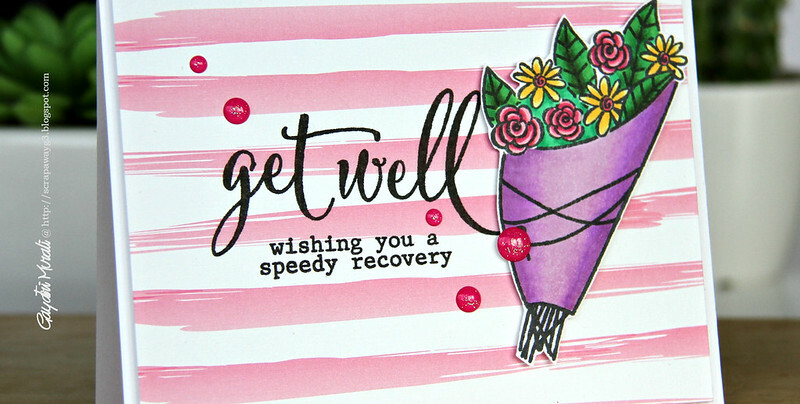 I have used Doodlebug’s Sparkles to accent my cards. Here are the rest two of the cards and closeups. I will share the last two tomorrow. 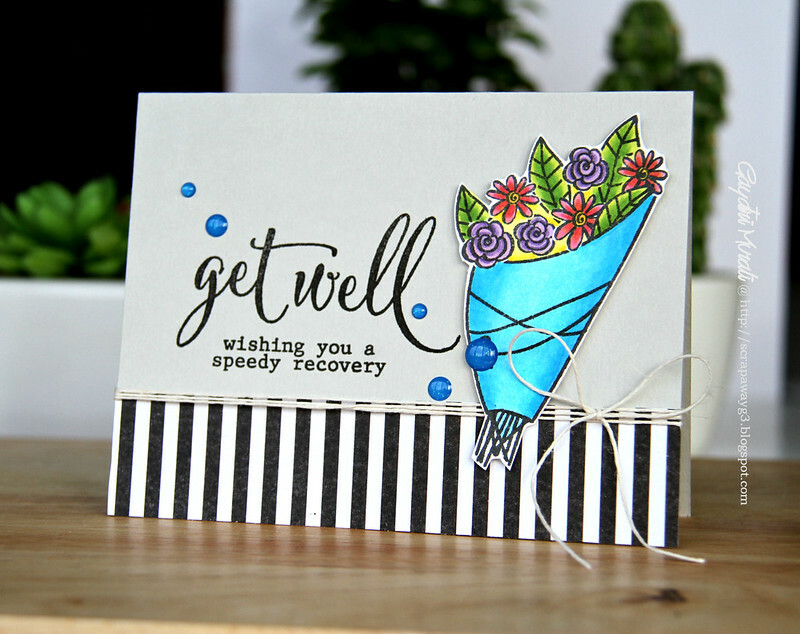 Very pretty get well cards…love the vibrant bouguets. These are sure to bring some cheer to your friends' day. beautiful set of cards Gayatri.. your friends are sure to love them!! How very lovely, and great coloring! Hope your friends are soon better! These are all really beautiful sure to perk someone up who is under the weather. All of them are beautiful!! !